Vertus Digital is a web design company, specialising in WordPress, our aim is to help businesses, entrepreneurs and anyone else with a good idea create a strong and profitable presence on the internet. We love helping businesses get online & be successful. Let me tell you a little bit more about myself, that’s me over there on the left. 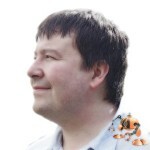 My name is Craig Bennett, I’ve have been successfully helping business grow by providing and maintaining professional websites, creating powerful digital marketing strategies, then testing and optimising to gain the best possible results. I come from a background in IT & Computer Maintenance, where I worked until 2011, during this period and long before I fell in love with the internet and the way it’s constantly changing and evolving, I spent many years building websites for friends, family and small local businesses. In 2009 I decided to start building a part time business based on my love of web design & digital marketing, I wanted to help people understand the power of the internet and help educate people on how to grow their business online. Vertus Digital was born towards the end of 2011, we are still a small business today, but have helped a lot of clients build a successful business online. The Vertus Digital website was launched in April 2012 and has two main purposes, firstly to enable us to help small to medium sized business get started online and secondly to educate and help people build a profitable business by themselves using our blog, newsletter and eBooks. Thanks for taking the time to visit our website, we hope you have found what you were looking for. If you’d like to have a chat about how we could help you give us a call on 01505 427227 or use the contact form here. Sign up below to join our monthly newsletter, you will also receive a copy of our Free eBook "Digital Marketing Simplified" Enter you email & name below to get instant access.